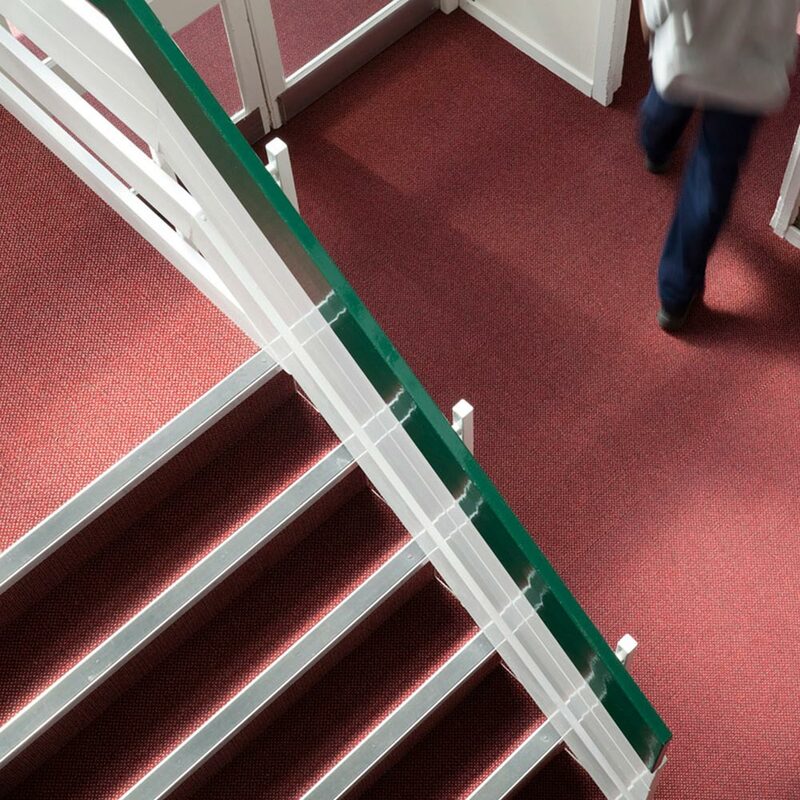 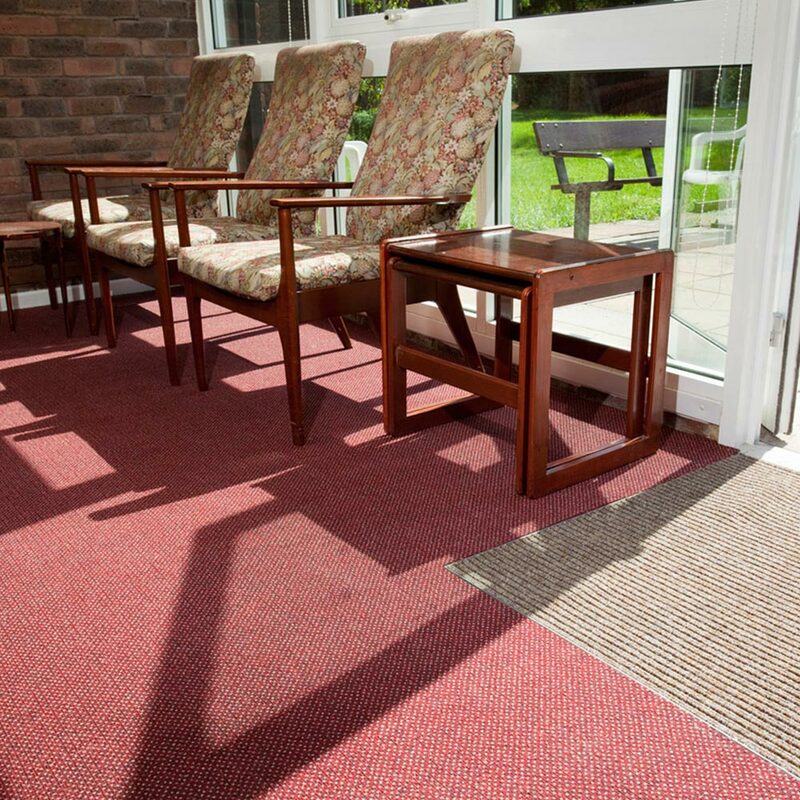 Heckmondwike provided a flooring solution for a recently refurbished sheltered housing facility. 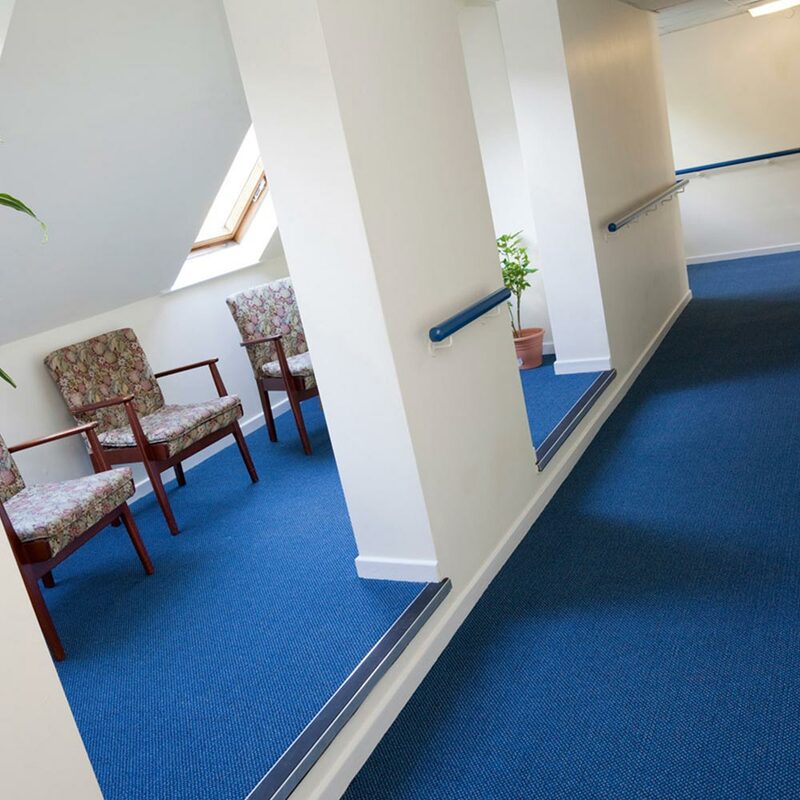 Each floor was fitted with a different Montage shade, which provided some ease to those with short term memory loss issues. 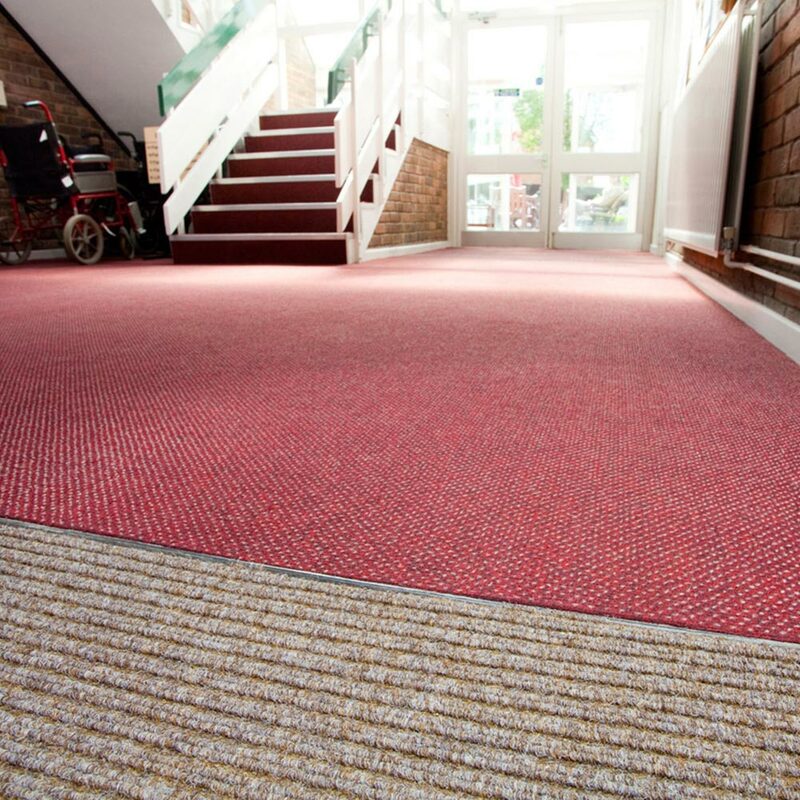 Award-winning entrance range Battleship, in a Pebble finish, created an attractive and practical entrance detail.